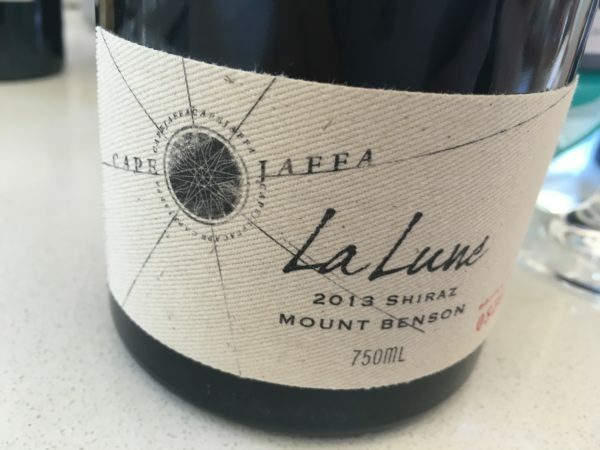 Despite being one of the more established Australian biodynamic wineries, Cape Jaffa don’t get much attention. Region must play a part of that given the isolation and limited profile of Mount Benson (I’d wager that most drinkers would never have heard of it, let alone realise it could be a premium cool climate region). All up this is a wine of promise. That nose is just a little boisterous and ripe, yet the cooler, spicy elements suggest something much more restrained. With decent tannins and a long palate there is clearly quality here, even if it feels a just a little broadly ripe and simple. More funk, early picking and it will do the fabulous, unbleached cotton twill label even more justice. Bottle number 850 of 3996. Best drinking: 2018-2028. 17.8/20, 92/100. 14.5%, $60. Would I buy it? A glass would do.